Need your eyes checked, but can't find the time? Both evening and early morning appointments are available at our Leawood office! We are open until 7:00 p.m. on Mondays and start bright and early at 7:30 a.m. in order to meet your needs! Our optical shop is open at those times as well. Contact us today for an appointment! 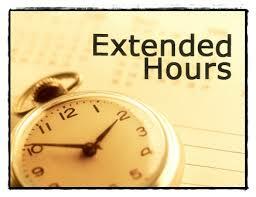 Evening and Saturday hours are also available at our Olathe location.